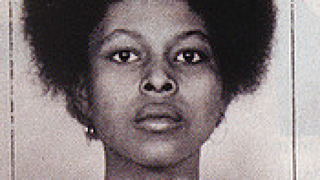 The U.S. is not letting the matter of getting Assata Shakur extradited back to the States go gently into that good night, despite being told numerous times that Cuban officials have said that the topic is off the table. According to State Department spokesman Jeff Rathke, now that President Barack Obama has moved the diplomatic ball further by taking Cuba off a list of nations that sponsor terrorism, the status of Shakur and other convicts who sought asylum in Cuba will be up for discussion, NorthJersey.com reports. Shakur, also known as Joanne Chesimard, was convicted of killing a New Jersey state trooper in 1977. She escaped prison and in 1984 was granted political asylum by Cuba, where she’s lived ever since. On Wednesday the State Department said that talks with Cuban officials included mention of Shakur. However, Cuban officials have not responded to media inquiries about whether that’s true and, if so, what was actually said about the possibility of extraditing Shakur back to the U.S. There is speculation that the State Department is giving greater weight to that possibility than what was actually discussed regarding Shakur. Shakur’s lawyer, Lennox Hinds, a professor at Rutgers University, thinks that’s the case. “I think it is a spin being put out by the U.S. government. I have no reason to give any credence to it,” Hinds said. He told NorthJersey.com that Cuban authorities recently told him that Shakur’s political asylum would not be revoked.